The snow is falling…again! 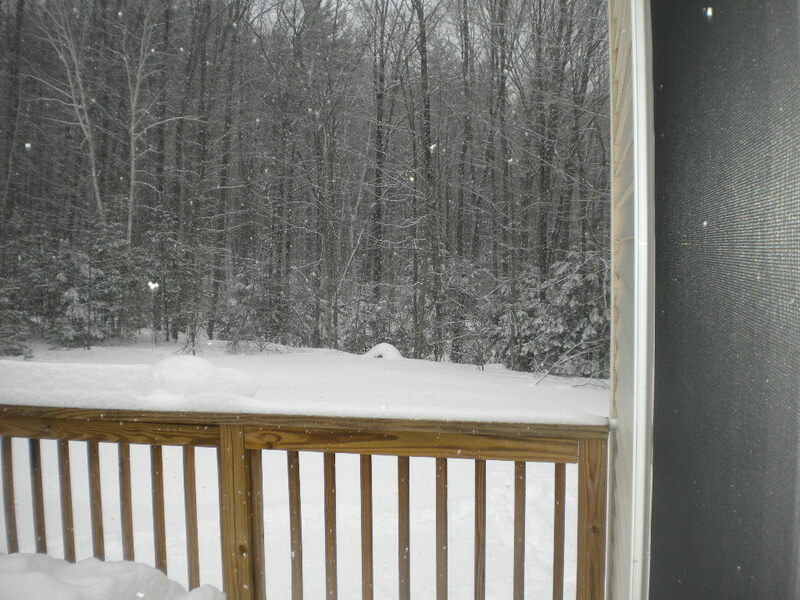 Here in Amherst, New Hampshire, we were clobbered by a huge blizzard just a few days ago and, as I look out my window, it seems Mother Nature is giving us an encore. So it’s nice to be inside, cozy and warm, sharing my Perfect Picture Book Friday review with you. Kids love to find out about ‘stuff’…I know my grandson loves to do ‘experiments’…anything that includes measuring, seeing how things work, or watching how baking soda fizzes when you add vinegar to it. 🙂 Clean sink drains, anyone? I hope you are all enjoying my journey into non-fiction picture books this year. If you’d like to read more picture book reviews, please stop by Susanna Hill’s Perfect Picture Book Friday blog…there are more than a dozen new ones today – plus she has a tab on her blog that will take you to over a thousand more! What a fantastic resource for parents, teachers and librarians. And now for some MORE FUN! I was tagged by a good friend and critique buddy, Carrie Finison, to participate in a Book Love Blog Hop, posting reviews to Amazon and other sites of books I love: https://storypatch.wordpress.com/2015/01/30/announcing-book-love-a-blog-hop. Authors work so hard to write these wonderful books – so I’m thrilled to help spread the word about them. I plan to post a review to Amazon for every book I review on my blog the year. I’ve already posted Amazon reviews for the four books I’ve reviewed so far this year. If you would like to participate in the blog hop and post a couple of Amazon reviews for children’s books you’ve read, please leave a comment on this post or pm me on Facebook. Ready, set, go! 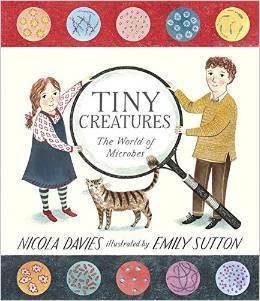 This entry was posted in Book Love Blog Hop, Perfect Picture Book Friday, Science for Kids and tagged Book Love Blog Hop, Carrie Finison, Emily Sutton, Microbes, Nicola Davies, Tiny Creatures - The World of Microbes by viviankirkfield. Bookmark the permalink. Well, that looks like a lot of creepy fun! You would love it, Rhythm! What a great book for the classroom. You really have been hit with the snow. My husband’s family settled in a town named after them — Tilton, NH and the Tilton Academy. We visited it years ago. Aha! You’ve picked this book to review! I just got it from the library, and I do love it. It’s very well written and illustrated. But I am still flabbergasted that it doesn’t contain any back matter. Hmmm. Wish we had some snow in the Sierras right now. I’d settle for rain. Enjoy that lovely white stuff! This book looks excellent! I am finding that I love nonfiction picture books more and more as my son gets older and becomes more curious about the world. I love non fiction also, Heather. I always did as a child…and now I’m rediscovering it in the shape of these new fun non fiction picture books. Yes, please! This sounds like my kind of book. I’ve worked in hospitals and clinics and whatnot and really, really, really, hand washing can save your life. Any book that can help me echo that to my children is a book I must have indeed. Thank you for the review! Glad it was helpful, Lily! Washing hands is an important habit for kids to develop. And the whole book was such fun!